Paperless approach to plan on the go. Best with Apple Pencil. For Goodnotes, Notability, Adobe Acrobat. 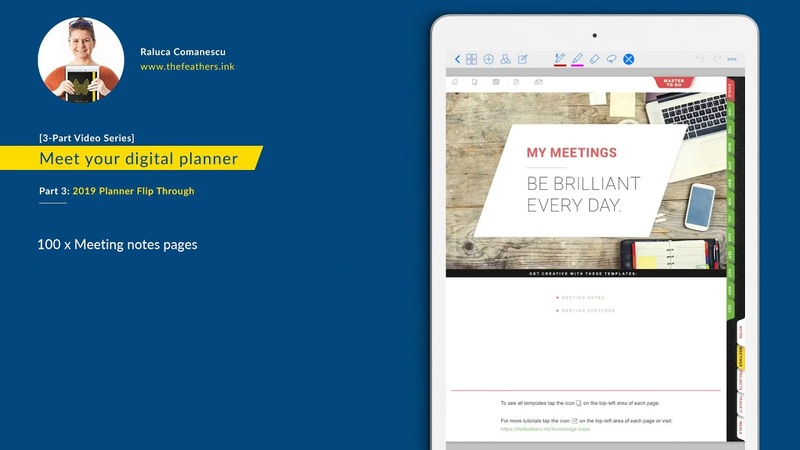 This is a 3-Part video series to setup and start using your digital planner straight away. 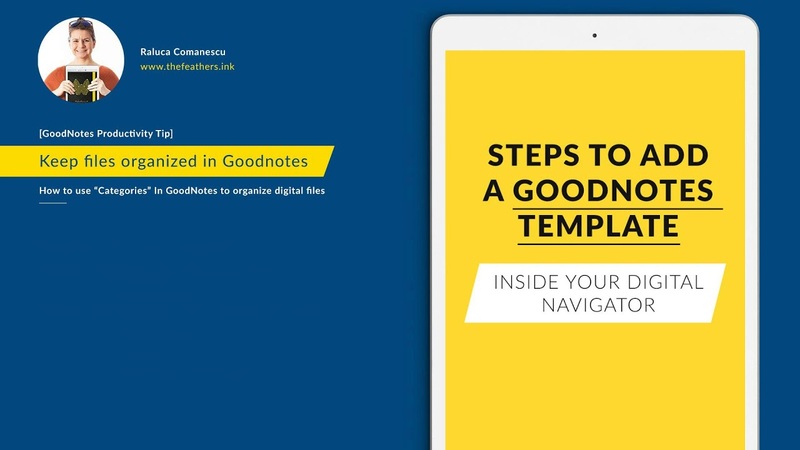 Follow the steps presented in the video to import it to Goodnotes using Dropbox or any preferred cloud sharing folder. 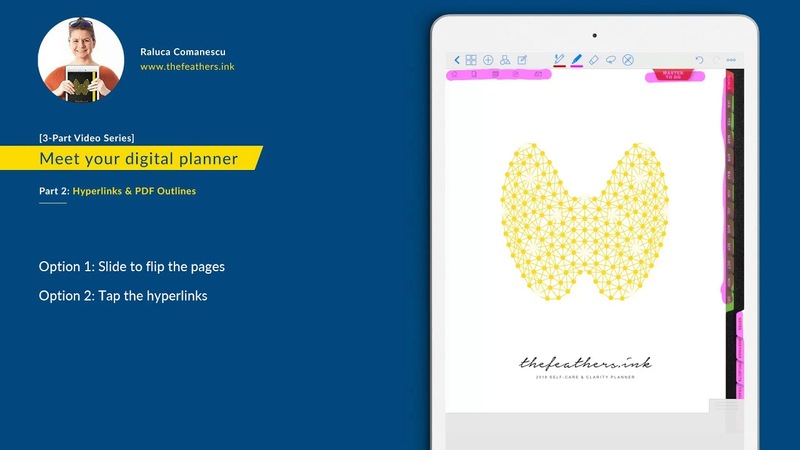 Learn how to use the Hyperlinks, the PDF Outlines and Bookmarks with your digital planner for Goodnotes 4. 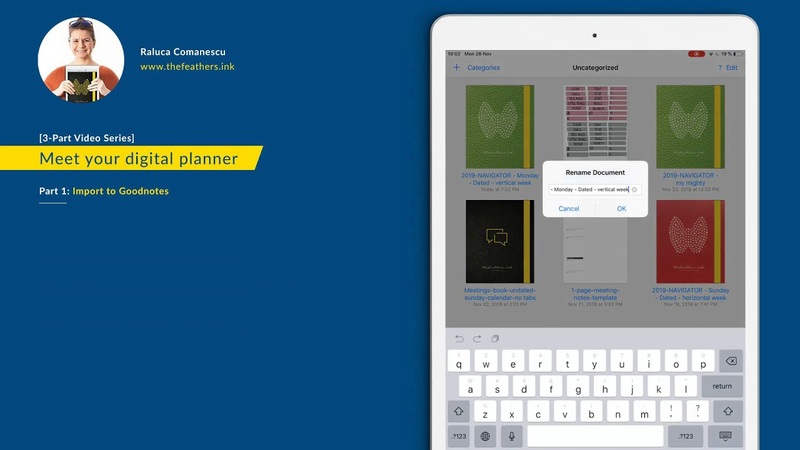 In this video you'll discover what's inside the digital planner & navigator, page by page. Discover the system I am using in Goodnotes 4 to keep all files organized with "Master Categories" + "Sub-categories". 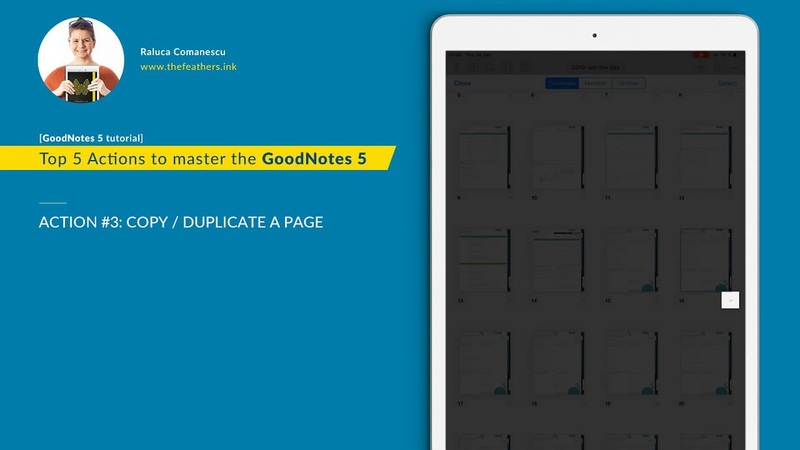 This is a tutorial designed for new users to learn top 5 functions in Goodnotes 5.